STEAMDANCE uses a dance-education approach to learning about STEAM subjects; science, technology, engineering, arts and maths. Students are inspired to wonder how you might use movement as a fraction, choreography to create patterns or what the angle of an arabesque is or how you might balance weight when you lift a partner. Included in the program is the opportunity for an in-school performance of Coppèlia (for Primary) or Plain Jane (for Upper Primary/Secondary). These 30-minute performances have been created especially for school students and designed for students of all ability and experience. Students who attend the workshops are invited to enjoy the performance, and, if your venue is large enough, other year levels are also welcome to attend. The STEAMDANCE program aims to provide students with an unforgettable dance experience and is led by The Australian Ballet’s Dance Education Team. Victoria: The STEAMDANCE program consists of 5 x single-day visits to your school (over a five-week period) with a male and female dance educator. Each visit will feature up to four workshops, with the same students participating each week. The educators work in advance with the class teacher to create a dance-education program that supports what is being learnt in the classroom. Over the course of the program the students learn practical dance and choreographic skills based around the chosen theme and create a performance. Included in the package is also the chance to have a 30-minute performance in your school given by four professional dancers. Nationally: STEAMDANCE can also be delivered intensively across one or two weeks in remote areas at community venues. A Professional Development session for interested teachers is also offered; this focuses on using dance education to teach curricular subjects supported by The Australian Ballet’s online resource EduHub. The teacher training in each area and online resources support the long-term sustainability of the delivery. The STEAMDANCE program is aimed at increasing access to ballet and the arts, and opportunities to spend time with professional artists. We prioritise schools in low socio-economic areas and those that are disadvantaged socially, financially and geographically. If you are unsure if you fit the criteria, please contact us at learning@australianballet.com.au to discuss. The Australian Ballet Education Team often works with partners to ensure students have access to healthy and nutritious meals during the STEAMDANCE program. Download our certificate of participation for your students here. 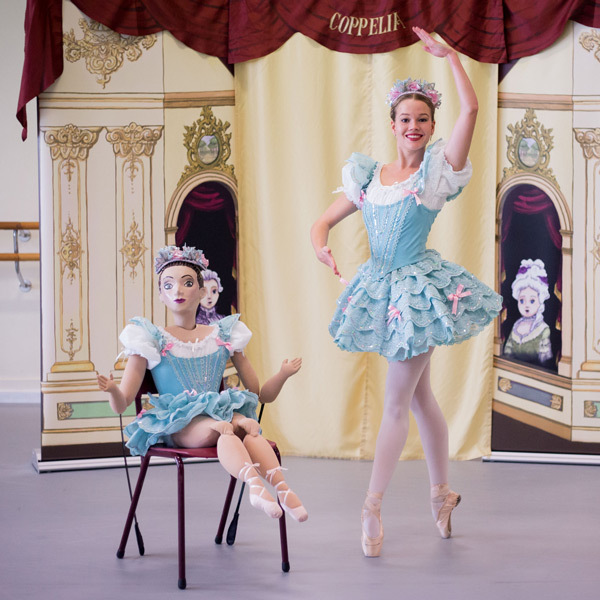 Discover our Coppélia performance designed especially for schools.